The thought of sales strategy sends many into an emotional tailspin. Increasing sales through messaging and selling techniques is enough to give anyone a headache. Much of the struggle comes from separating the product from the established sales techniques--which comes as a challenge to people who spend their days so close to the product they’re selling. When considering the right sales message, keep these principles in mind to guide your process. Anyone can write - or talk - for days about what they're selling, but can you boil your value proposition down to two sentences? Creating a short sales story goes hand in hand with creating a compelling brand message. Treat your words sparingly when crafting a sales message. Focus on brevity and clarity. What’s the simplest way to explain your product or service? Create an elevator pitch - a short and precise pitch under 3 minutes - to convey your message. Once you have your sales pitch as concise as humanly possible, commit it to memory. While pitches will be changed and altered for different audiences, always remember your elevator pitch or brand message as a guiding principle. Channel your inner child and don’t be afraid to question why. When you’re focusing on sales day in and day out, the “Why?” of the sale is often the first point that’s lost in the strategy. However, continually questioning your sales strategy is the best way to expose weak points of your brand message and will strengthen the experience overall. Start with the question, why would someone buy what you’re selling? Why would a customer be compelled to buy from you? The response “just because” should never satisfy a sales strategy. If you aren’t sure, take a step back and research your customer base. You may know your product backward and forwards, but remember, you are not selling this to yourself. Continually take the effort to look outside your experience to focus on customer perspective. Talk with past clients and interview potential future ones; different sales messages will depend on various target audiences. The sales messaging for a long-time client can look dramatically from a new pitch. Your service might apply to both business and independent consumer, and in that case, the sales technique should be different. Pushing yourself to change perspective will create a more customer-focused sales process. Shifting a sales strategy to make it more customer friendly will reveal truths about your company, customer base, and future sales. Make time to take a step back, do market research with potential buyers, and discover what they find valuable. Sound overwhelming? The acronym SOAPSTone can help point you in the right direction. Everyone wants to increase sales, but the concept of a sales strategy can be daunting. In its simplest form, to sell is to tell a compelling story. When you take the time upfront to research the customer and boil down the message, you’ll have a much stronger sales proposition. Want to learn how to increase sales for your company? Does your sales team need training to better express your sales message? 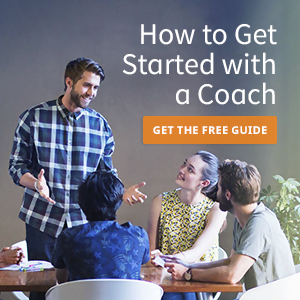 Book a free consultation with one of Ace-up's Premiere Business Coaches and see how they can help you today. They're thoroughly vetted, high-quality professionals in their fields, with a variety of specialties to get your business to where you want it to be.